Winner of the Pulitzer Prize, Olive Kitteridge offers profound insights into the human condition  its conflicts, its tragedies and joys, and the endurance it requires. At times stern, at other times patient, at times perceptive, at other times in sad denial, Olive Kitteridge, a retired schoolteacher, deplores the changes in her little town of Crosby, Maine, and in the world at large, but she doesnt always recognize the changes in those around her: a lounge musician haunted by a past romance; a former student who has lost the will to live; Olives own adult child, who feels tyrannized by her irrational sensitivities; and her husband, Henry, who finds his loyalty to his marriage both a blessing and a curse. As the townspeople grapple with their problems, mild and dire, Olive is brought to a deeper understanding of herself and her life  sometimes painfully, but always with ruthless honesty. Olive Kitteridge offers profound insights into the human condition  its conflicts, its tragedies and joys, and the endurance it requires. For many years Henry Kitteridge was a pharmacist in the next town over, driving every morning on snowy roads, or rainy roads, or summertime roads, when the wild raspberries shot their new growth in brambles along the last section of town before he turned off to where the wider road led to the pharmacy. Retired now, he still wakes early and remembers how mornings used to be his favorite, as though the world were his secret, tires rumbling softly beneath him and the light emerging through the early fog, the brief sight of the bay off to his right, then the pines, tall and slender, and almost always he rode with the window partly open because he loved the smell of the pines and the heavy salt air, and in the winter he loved the smell of the cold. Do you like Olive Kitteridge as a person? Have you ever met anyone like Olive Kitteridge, and if so, what similarities do you see between that person and Olive? How would you say Olive changed as a person during the course of the book? Discuss the theme of suicide. Which characters are most affected (or fascinated) by the idea of killing themselves? What freedoms do the residents of Crosby, Maine, experience in contrast with those who flee the town for bigger ponds (California, New York)? Does anyone feel trapped in Crosby, and if so, who? What outlets for escape are available to them? Rarely does a story collection pack such a gutsy emotional punch. Strout makes us experience not only the terrors of change but also the terrifying hope that change can bring: she plunges us into these churning waters and we come up gasping for air. Fiction lovers, remember this name: Olive Kitteridge. . . . You’ll never forget her. . . . [Elizabeth Strout] constructs her stories with rich irony and moments of genuine surprise and intense emotion. . . . Glorious, powerful stuff. Olive Kitteridge still lingers in memory like a treasured photograph. Perceptive, deeply empathetic . . . Olive is the axis around which these thirteen complex, relentlessly human narratives spin themselves into Elizabeth Strout’s unforgettable novel in stories. Funny, wicked and remorseful, Mrs. Kitteridge is a compelling life force, a red-blooded original. When she’s not onstage, we look forward to her return. The book is a page-turner because of her. Starred Review. Though loneliness and loss haunt these pages, Strout also supplies gentle humor and a nourishing dose of hope. Readers will have to decide for themselves whether it's worth the ride to the last few pages to witness Olive's slide into something resembling insight. Starred Review. Like this story, the collection is easy to read and impossible to forget. A perfectly balanced portrait of the human condition, encompassing plenty of anger, cruelty and loss without ever losing sight of the equally powerful presences of tenderness, shared pursuits and lifelong loyalty. 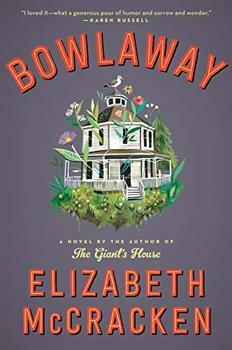 A sweeping and enchanting new novel from the widely beloved, award-winning author Elizabeth McCracken about three generations of an unconventional New England family who own and operate a candlepin bowling alley. 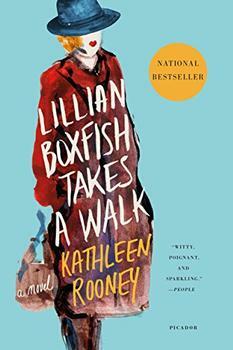 A love letter to city life, however shiny or sleazy, Lillian Boxfish Takes a Walk by Kathleen Rooney paints a portrait of a remarkable woman across the canvas of a changing America: from the Jazz Age to the onset of the AIDS epidemic; the Great Depression to the birth of hip-hop.